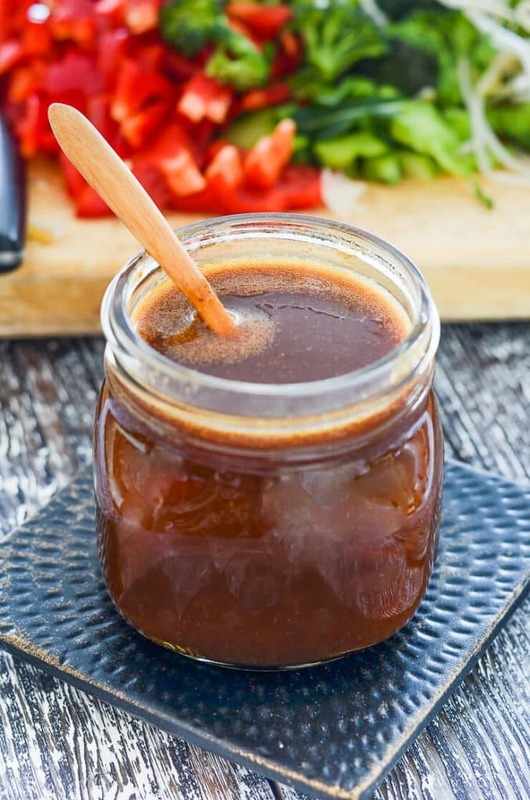 A quick & easy Teriyaki Sauce that is absolutely packed with deep umami flavour. It is rich, thick & super versatile. Perfect for coating tofu or for saucing up stir fries, rice or noodle bowls! Nothing brings a meal together better than a good sauce and if you are familiar with my usual sauce making technique you will know that throwing everything in a blender is about as complicated as it gets. We’ve been there with my Garlic Pineapple Sauce and my Healthy Sweet & Sour Sauce. This Easy Teriyaki Sauce is made in the same way. Literally everything gets thrown in a blender then poured out and warmed up in a pan. That’s it! Super simple. I like my food to be absolutely jam-packed with flavour and with this sauce, big bold flavours are where it’s at. It has such umami flavour. I could literally drink it from the pan it’s that delicious. So savoury and rich with amazing depth. It is such a versatile sauce and works brilliantly with tofu, mushrooms, in stir fries, with rice or noodle bowls, even on burgers. For an easy meal, cook some rice or noodles, top with steamed vegetables, drizzle over some of this sauce and add a sprinkling of cashew nuts or sesame seeds. 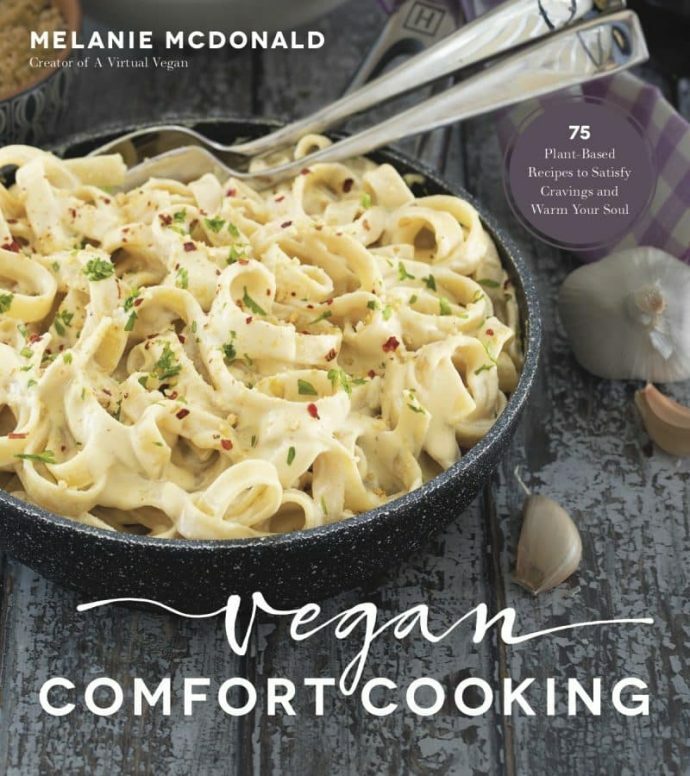 It makes a really quick, stress-free and super tasty meal. My recipe doesn’t have Mirin in it as tradition Teriyaki Sauces have because I try to use ingredients that most people have in their pantry whenever I can, and I have never had Mirin in mine. It is really easy to get hold of these days though and most grocery stores sell it so if you prefer you can use it in this recipe in place of the rice wine vinegar. 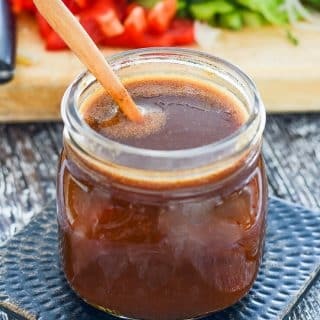 EASY TERIYAKI SAUCE WITH NO WACKY INGREDIENTS! As with most recipes nothing beats homemade. Store bought teriyakis just cannot compare to the flavour in this one. Plus with my version there are no wacky ingredients, which cannot be said for most store bought teriyaki sauces. They almost all have artificial colours and preservatives in them as well as hydrolyzed protein. Do you know how how hydrolized protein is made? 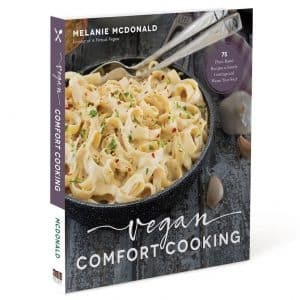 The food concerned is boiled in hydrochloric acid and then neutralized with sodium hydroxide. That certainly doesn’t sound tasty or healthy to me. 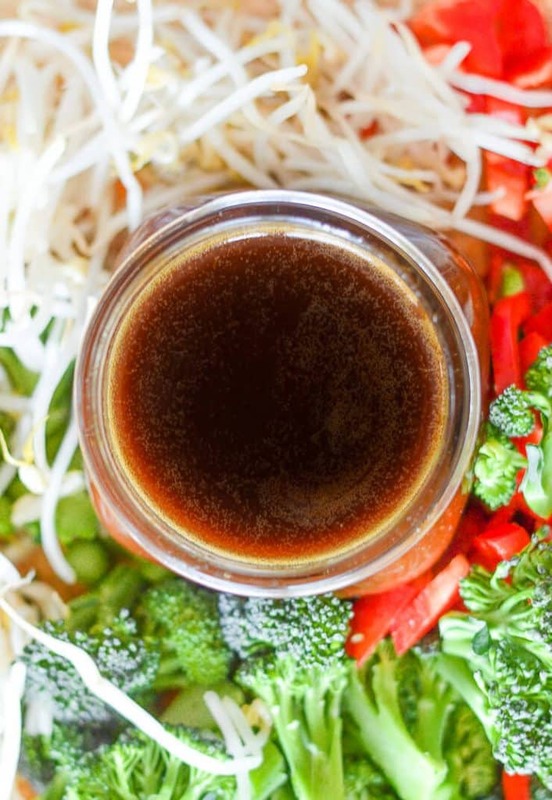 Avoid it by making this tasty Easy Teriyaki Sauce instead. Your body and your taste buds will thank you! 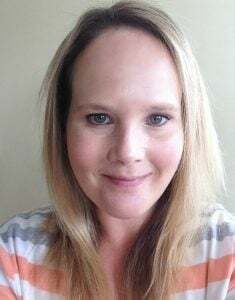 If you give it a try be a ☆ and let me know what you think in the comments below. You can also share your pictures with me on Instagram . I am @avirtualvegan. Pour into a pan. It will be very foamy. That is normal and the foam will disappear as it warms. Heat over a medium heat stirring constantly until it is thick and gravy like in texture. The notes about nutritional information and actual nutrition don’t match. Which is a serving, 60ml or 120ml? The nutritional information must have got jumbled when it was imported. I have now corrected it. Forgot to leave a rating. Definitely 5 stars! That’s great Anne. I am thrilled you enjoyed it. Thank you so much for coming back to leave feedback! This looks easy and sounds tasty. I’ve been looking for a good teriyaki sauce recipe. Can’t wait to put it together! Thanks. Hope you enjoy it Betty!